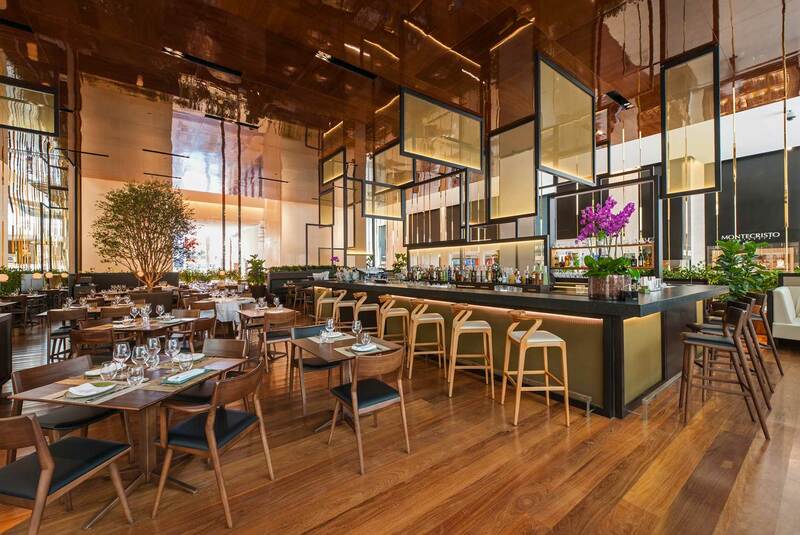 Piselli Restaurant in Sao Paulo by Eric Carlson. 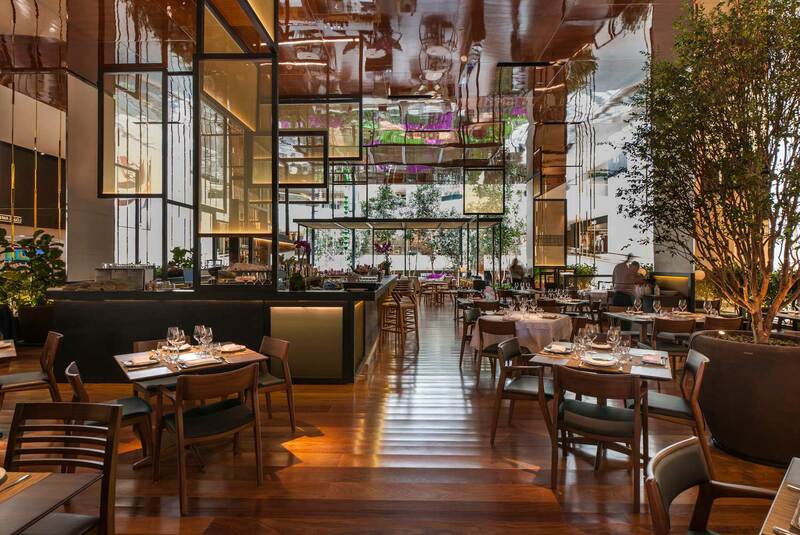 The latest architectural creation by Eric Carlson and his office CARBONDALE in Paris & Sao Paulo is the high-end culinary establishment, Piselli. 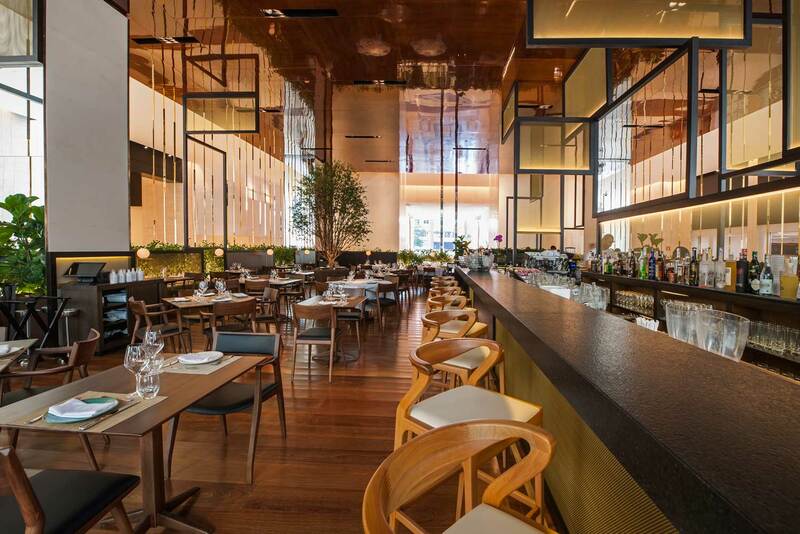 This new restaurant is situated in the heart of one of Sao Paulo’s most renowned interior public spaces, the central plaza within the Iguatemi Faria Lima building. 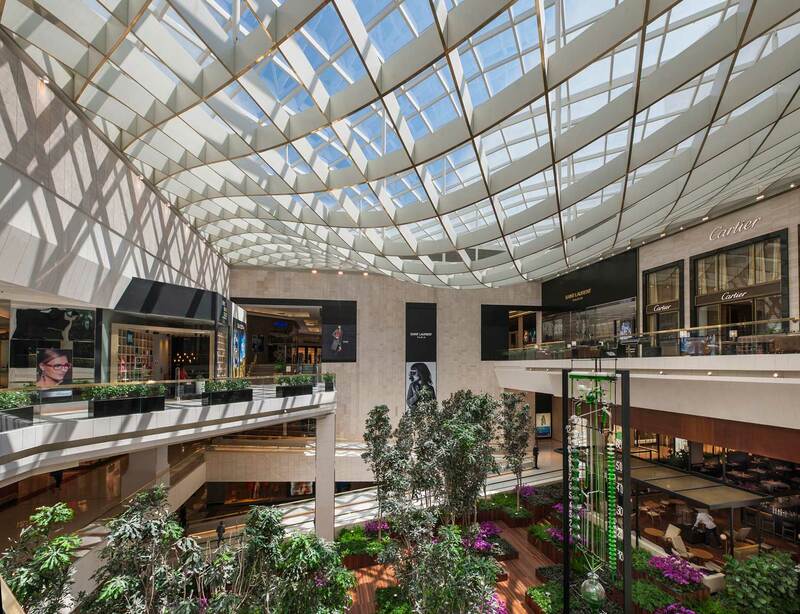 The 3,000 square meter 4-story high Main Plaza was itself also recently transformed by CARBONDALE into a luxurious volume lined in travertine stone, naturally illuminated by a structurally avant-garde sculptural skylight, and punctuated by a lush pixelized stepping central garden. 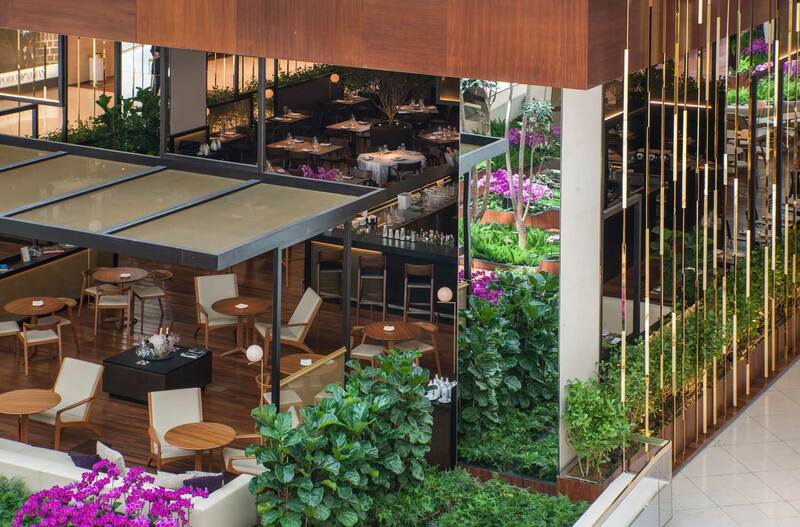 Nestled within the vegetal oasis and bathed in sunlight, Eric’s unique design for Piselli was conceived as a Restaurant in the Garden. 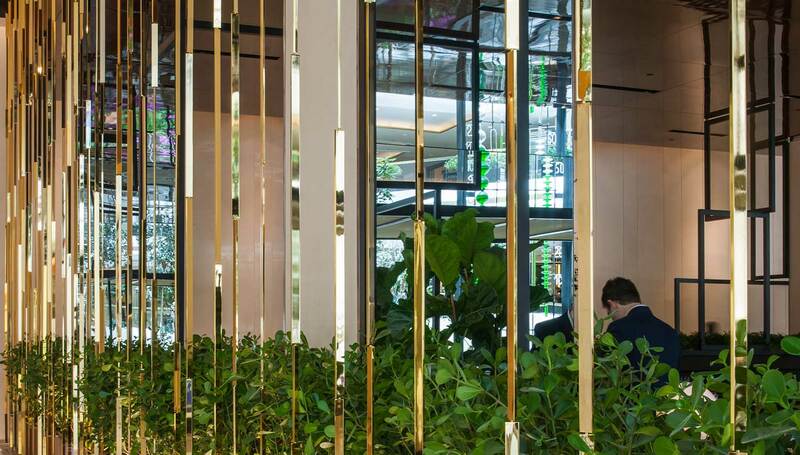 To enhance the outdoor atmosphere further, a green ring of foliage that embraces the entire space, covered dining terrace extends out into the garden and a discrete garden path leads guests to an exclusive entry. 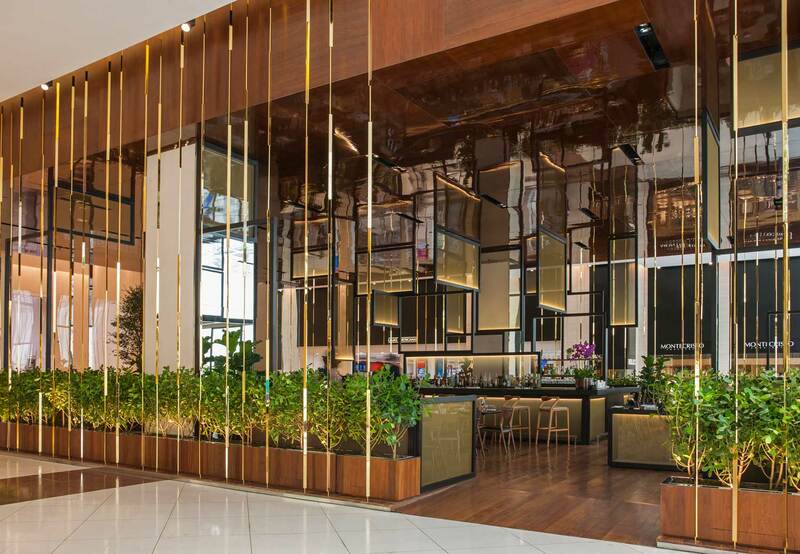 A magical veil of suspended floor-to-ceiling strands composed of polished gold plated solid brass bars vertically wrap the periphery of the 6-meter high restaurant. 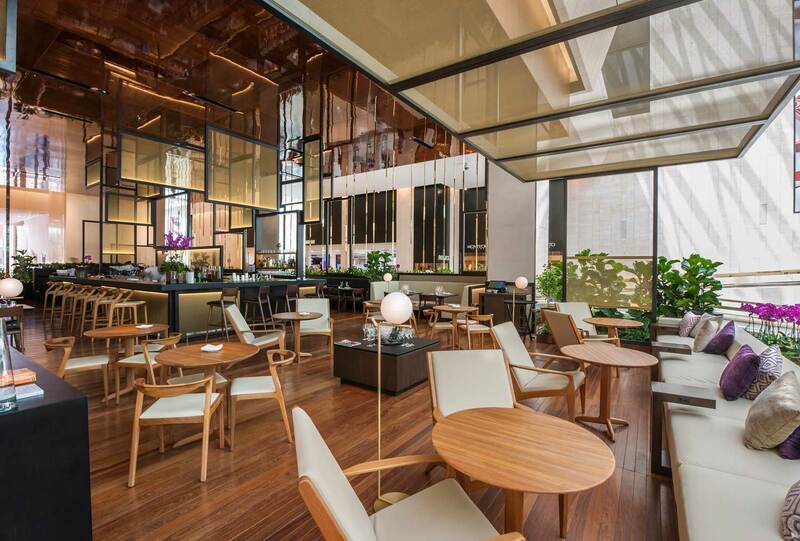 These ethereal chards of reflected light appear as luminous golden threads that define the restaurants volume and the establishments’ luxurious identity as an elegant Architectural treasure chest. 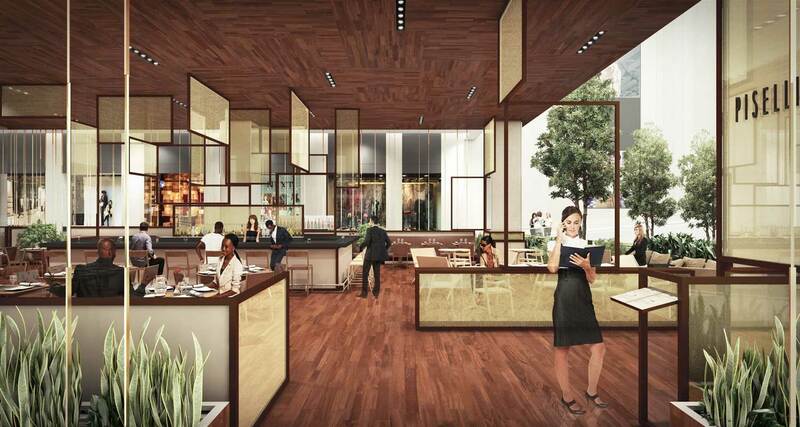 The restaurant’s interior is spatially delimited by a raised cumaru wood parquet flooring, and above, by a floating monumental box ceiling finished in a high polished lacquer smoked cedar paneling. 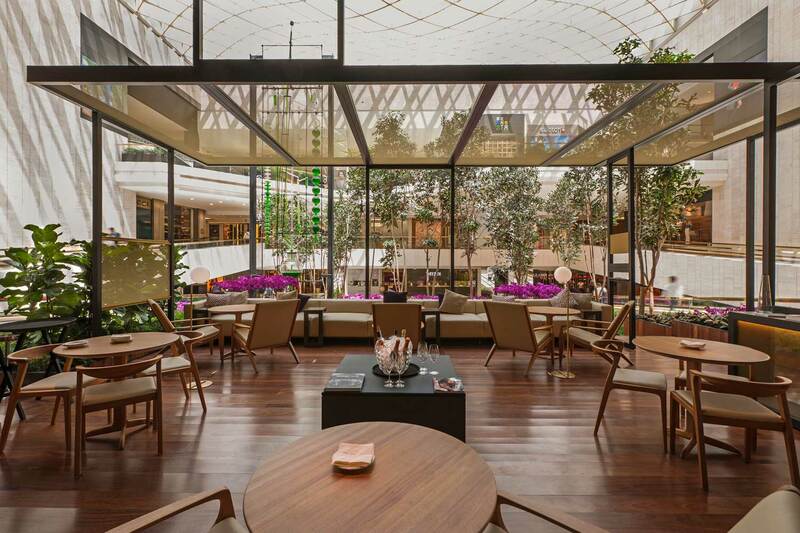 The large timber surfaces establish the warm, rich interior ambiance while the dramatic highly reflective ceiling beautifully reflects the adjacent planting and flowers adding to the illusive and ephemeral enchantment. 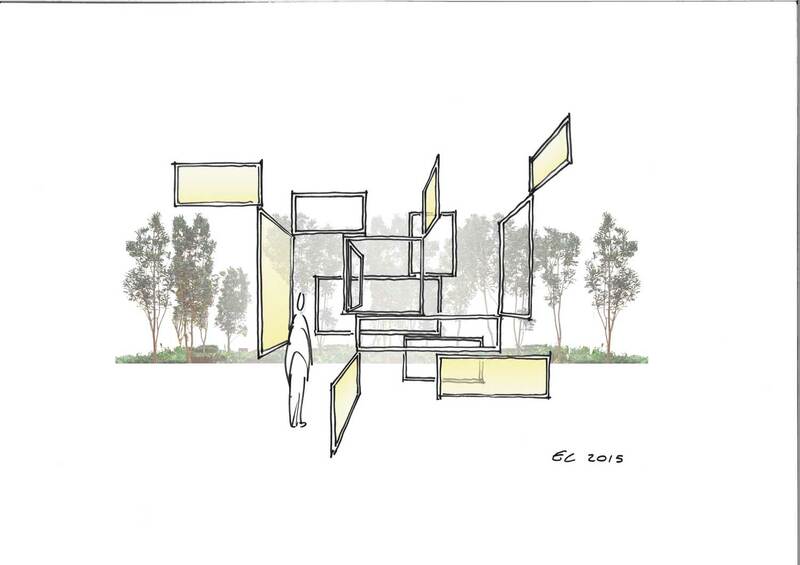 Rather than a restaurant defined by it’s walls, CARBONDALE’s bold approach introduces a sculptural collage of orthogonally composed floating timber frames that create intimacy by subdividing the large volume, define the central bar and decidedly establish the distinctive character and identity of the Piselli. 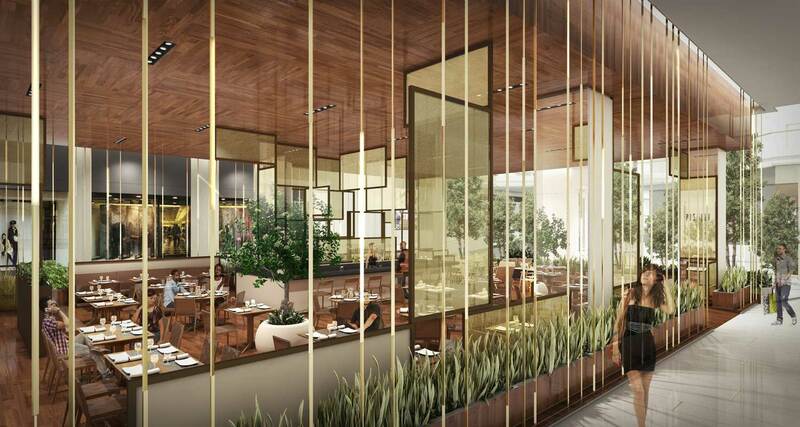 The frames are filled with a delicate brass mesh and are edge-lit to create a wash of warm light within the space and enhance the cozy evening atmosphere. Dimore Studio Brings Glamour to Casa Fayette Hotel in Guadalajara, Mexico. Stonescape & Naturescape by Kengo Kuma & Associates.